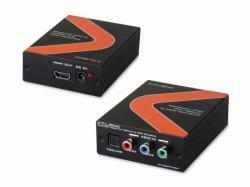 The AT-COMP-HDMI is an essential converter to keep up with the slow transition from analog devices to the latest digital formats. 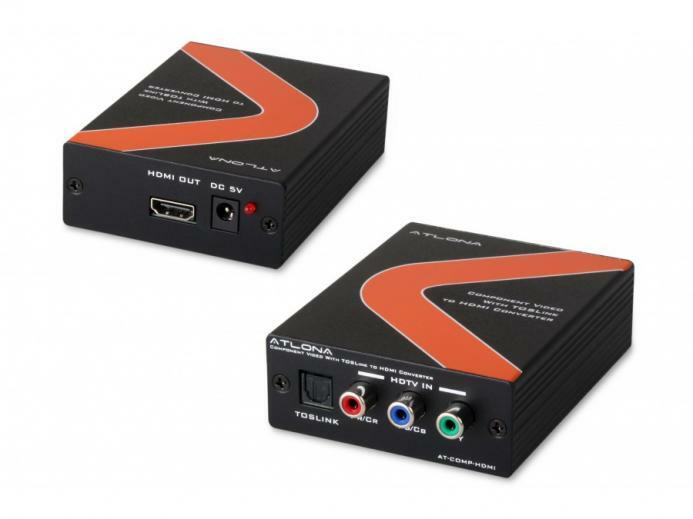 The Atlona component with digital audio to HDMI format converter converts analog YPrPb or YCrCb and audio to digital HDMI format. It allows you to connect the component video output from DVD players or Set-Top-Box equipment to the digital HDMI input of the latest HD ready plasmas, LCD's or DLP TV's. The Atlona AT-COMP-HDMIN will support high resolution up to 1080p.